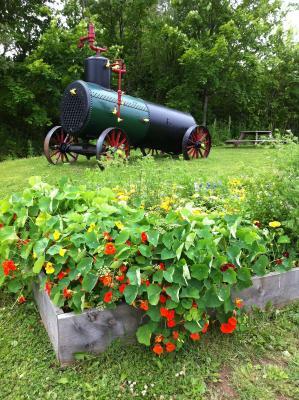 Lock in a great price for Train Station Inn - rated 8.9 by recent guests. The train station inn was very different, that why I went! It was an experience like no other but great. The room was lovely, everything was train themed. It was warm and clean. What a great way to spend the night! We slept in one of the trains and had a wonderful time. Very comfy king bed, great view, quiet location near downtown and hiking trail. The ambiance was lovely and the craftsmanship put into restoration of the units was amazing. The staff were friendly and very accommodating. Room was pretty cool! Check in was quick and the room more than met my expectations.. Definetly a unique experience. Lots of nice stores in town and the town train was pretty neat. 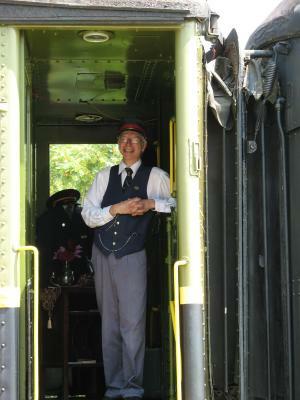 Excellent service and food in the dining car. Very friendly staff. 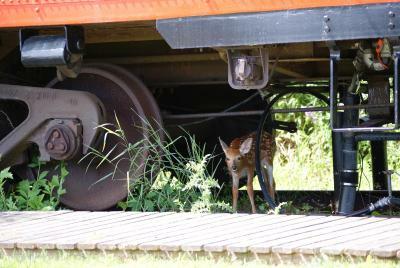 Staff were very accommodating, We love caboose #4. Perfect for a family of 4. We were amazed at everything. It's a different setting and we enjoy trains. The inside was done up so nice. The gift shop was very neat. The people that ran the business was so friendly and helpful. It was a dream getaway. 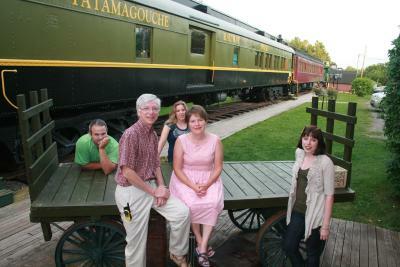 This century-old train station in Tatamagouche features lodging in vintage railway cars. 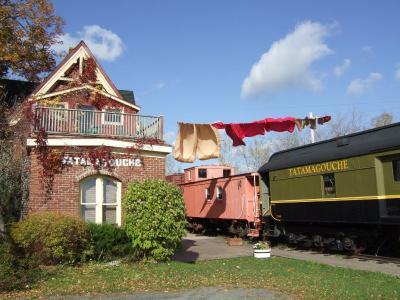 A museum and restaurant are located on site. Each unique, air conditioned room includes a fridge. Free Wi-Fi is available in each guest room. Cable TV and a seating area provide relaxation options. All guest rooms have private bathrooms. 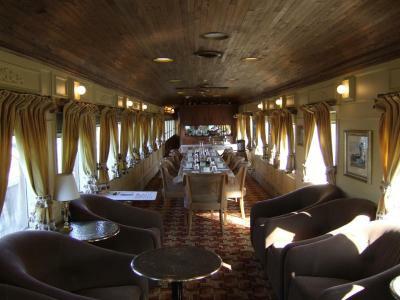 The Dining Car is open seasonally and offers lunch and dinner menus. Main dishes include salmon and steak. This restaurant can also hold private events. 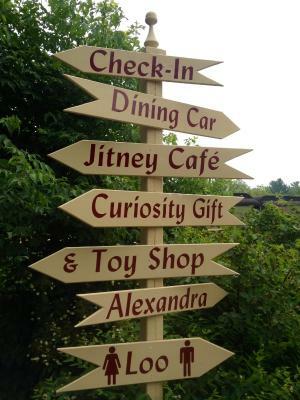 After visiting the on-site railway museum, guests can stop by Train Station Inn’s gift shop or café. Main Street, just 10 minutes’ walk away, is lined with shops, cafés and Raven Art Gallery. A variety of golf courses, including Northumberland Links, are 20 minutes’ drive away. 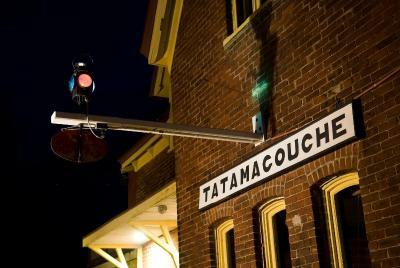 This property also has one of the best-rated locations in Tatamagouche! Guests are happier about it compared to other properties in the area. 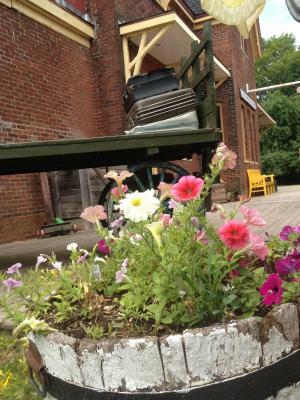 Train Station Inn has been welcoming Booking.com guests since 17 May 2012. 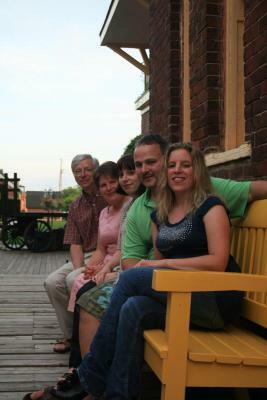 When would you like to stay at Train Station Inn? 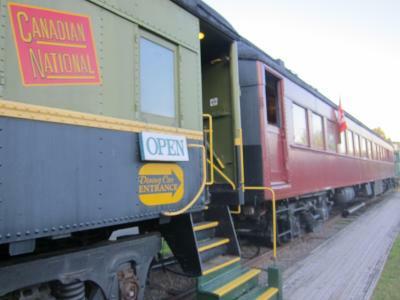 This railway car has a queen bed on the main level with a look out that makes a great reading nook. The bathroom is private. This railway car features a spacious living area with sofa that folds out into a double bed, as well as a queen bed in a separate bedroom. The bathroom is private. 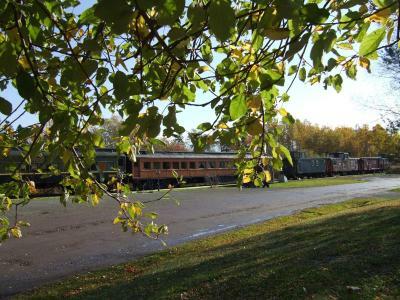 This unit has 2 single beds in a separate bedroom, a queen bed in the main bedroom and two vintage "conductor seats" with a view of the rail yard. 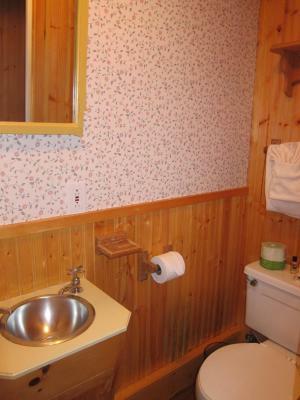 The bathroom is private, located between the two bedrooms. Guests in this unit can relax on a private deck. 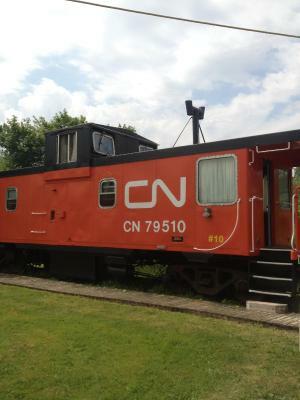 This railway car features a living area/kitchenette with sofa which folds into a double bed. The separate bedroom contains a king bed. The bathroom is private. This room has a double mattress in addition to a queen bed in separate bedroom. 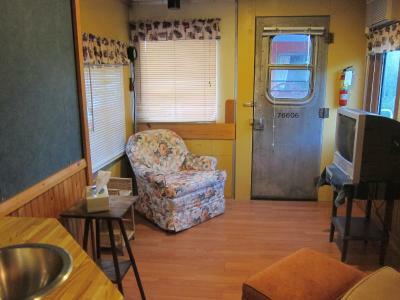 It also contains a kitchenette with a stove top. The bathroom is private. 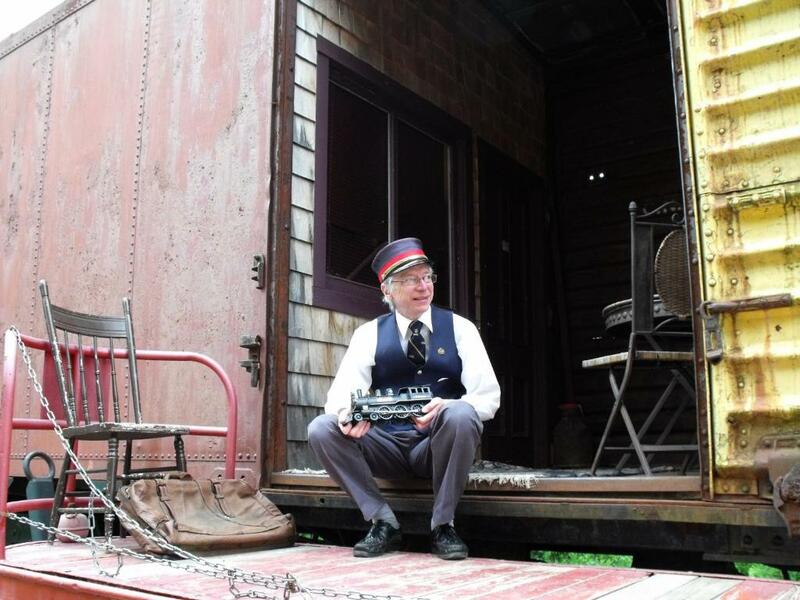 This vintage "half boxcar" railway car has a double bed on the main floor as well as a single mattress in a loft. The bathroom is private. 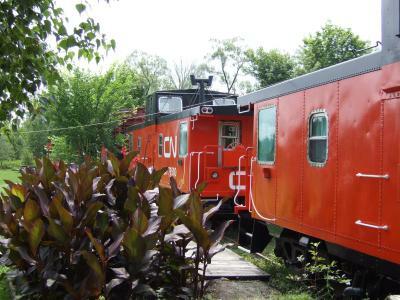 Set in a railway caboose which was originally built in 1919, this room features air conditioning, seating area and cable TV. 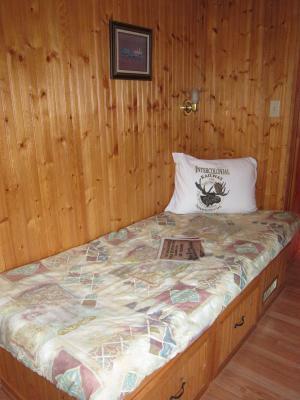 It has a queen bed as well as 2 singles in the form of a bunk bed. The bathroom is private. This railway car features a spacious living area with sofa that folds out into a queen bed, as well as a queen bed in a separate bedroom. The bathroom is private. This single room features a cable TV, seating area and air conditioning. House rules Train Station Inn takes special requests - add in the next step! Train Station Inn accepts these cards and reserves the right to temporarily hold an amount prior to arrival. 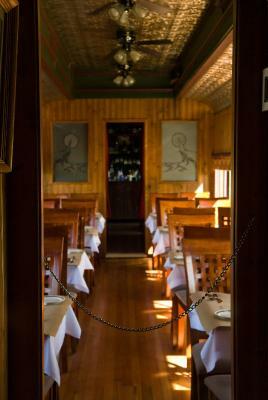 The Dining Car is open daily for lunch and dinner, from mid-May through mid-October. Different policies will apply for group bookings of more than 4 rooms at once. There was no one there to greet us when we came to the property. Otherwise, we probably would have chosen a bigger room. The unique setting in s rail car. 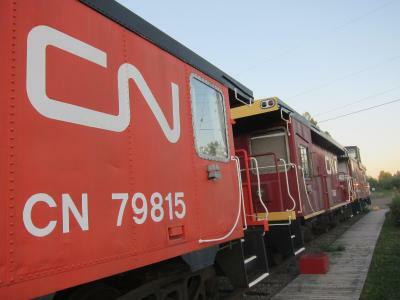 To sleep in a transformed railcar is quite a unique experience! Ours was clean and had some nice features and details regarding its original use - it also had a TV, AC and comfortable beds. The shower is a little bit tight but manageable for one or two days. Unfortunately, we couldn't have dinner in the dining car because it was rented out for a wedding so we had to be spontaneous and choose another option - would have been nice to have known that before. You have to check which time of the season you come so that you can take the chance of having breakfast in the dining car - we had ours in the onside cafe, which was ok. Overall it was a great experience and a nice atmosphere! The website. Information on restaurant-indicated closed on the Holiday Monday. actually when called we were pleasantly surprised to discover they were indeed open. There was only one other place open and limited time available for dinner-closed at 7 pm. The room was a bit pricy and still we had to pay extra for breakfast. Staff and cook went out of their way for us. Giving it was late September the railway cars get quite cold. The website stated that the dining car was closed after Labor Day; however, I found out (too late) that it was open and serving dinner. The television in the room was about the size of my tablet! And certainly smaller than my home computer monitor. It was tiny!! Tiny! Although I'm sure it has been addressed by this time, I had trouble with the key in the lock and so did the desk clerk. This was such a unique experience. I LOVED it! 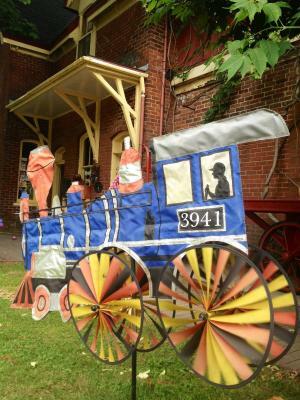 The train theme was carried out in every area of the property. 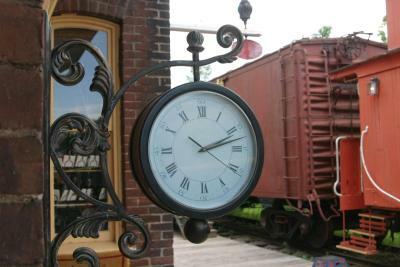 The old train depot was filled with train-related gifts and decoration. 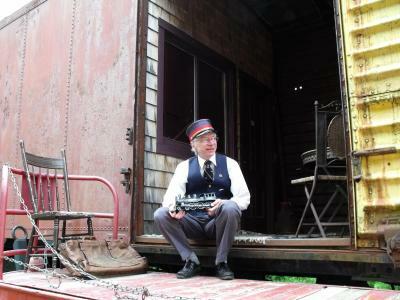 The 'room' itself was an old train car that had two single beds, in separate rooms. The bathroom was decorated in era-specific antiques and faucets. Charming. The kitchenette was modern, with refrigerator, coffee maker, and microwave. The antique chairs were adorable. The desk clerk was very helpful and polite. 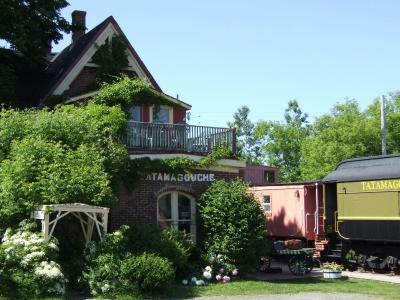 If you like trains, this is the place for you. Felt that it was expensive for what was being offered for accommodations. Breakfast wasn't included in price. Interesting concept especially if you love old train cars. Our bed was very comfortable and breakfast was great the next day!